As well as inspiring trips to The Photographers Gallery, The Whitechapel Gallery and the The White Cube, the Autumn Term saw many exciting events happen in Art and Photography. From the stained glass windows and the Remembrance exhibition, to the fanatstic Nikon Photography School workshops, our students have had ample opportunity to be inspired and inspire. Please read the main news for more! The Autumn Term saw many exciting events happen in Art and photography, here is a round up of some of these opportunities. 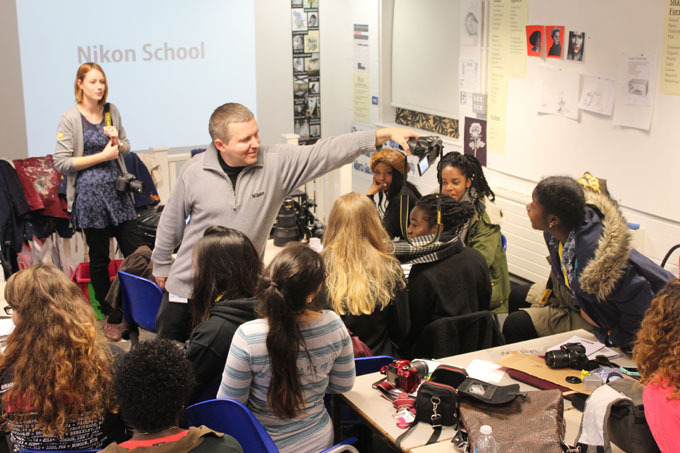 12 students from our A level photography course had the privilege of taking part in a School based workshop with the Nikon Photography School. Students were given professional advice on how to light their shots and also how to "hack" the gear we have in school, making several exciting experiments and outcomes. 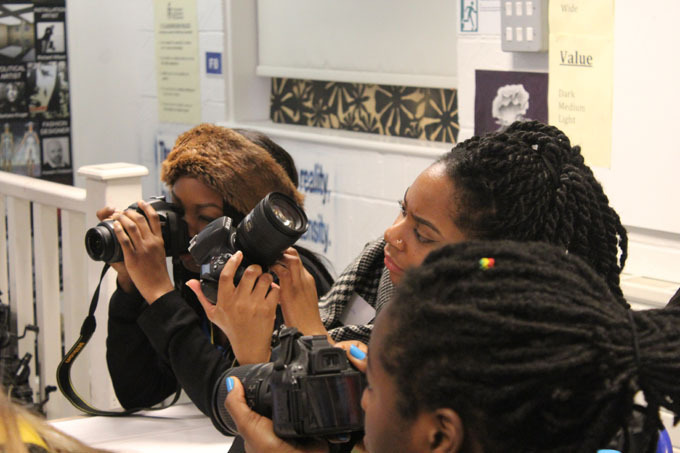 Students also got to use top end professional cameras and have one to one tutorials with industry professionals. These same students will be returning to the Nikon Photography School in January to learn more! 12 students taking GCSE Art also attended a seperate session at the Nikon Photography School, where they learnt the basics of lighting a model, and how to use the manual cameras settings. This has had a huge impact on what the students realised was possible, and is already having an impact on their Art. We ran a competition for all staff and students to make work for a giant advent calendar. 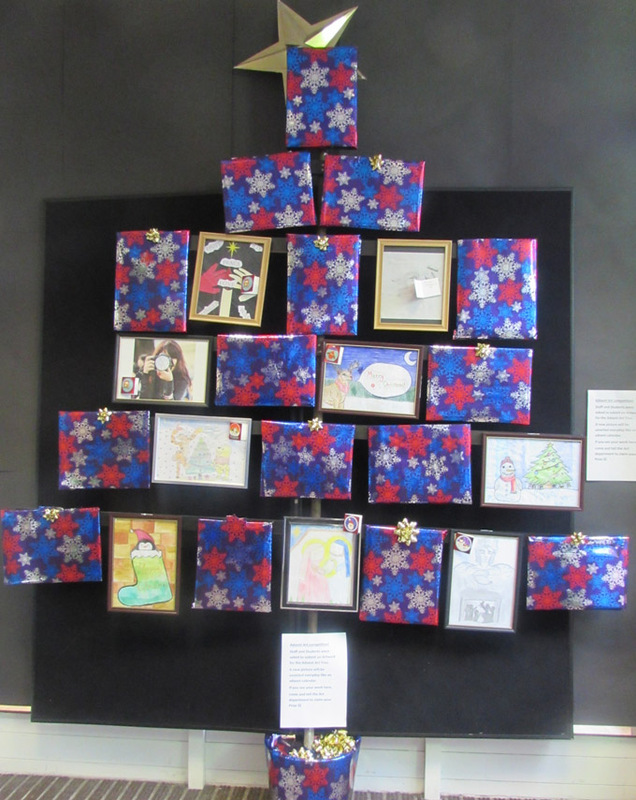 The Christmas Tree was made from 25 picture frames, and winning entries were unwrapped on a daily basis to reveal more Christmas Cheer! Winners got a chance at the lucky dip, winning prizes such as Art materials, luxury Christmas decorations, decoration making kits and sweets. Thank you to everybody who entered! 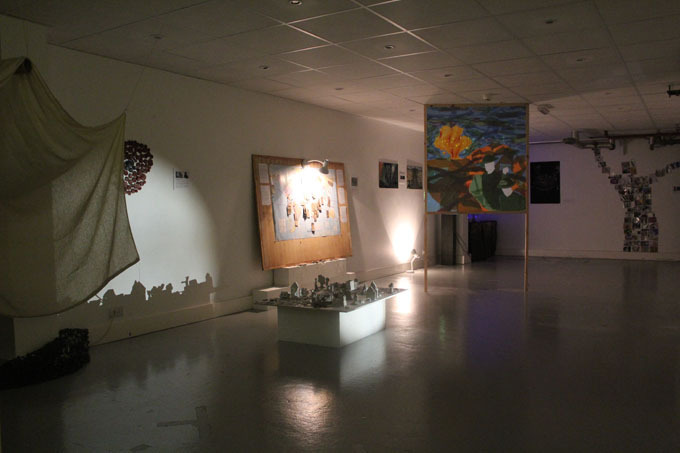 The Remembrance Exhibition was held between the 11th and 28th of November in our school gallery space "the Tank Room". This was a cross curricular exhibition held to help learn about, and commemorate the first world war in this Centenary year. Several members of staff lent their own family artefacts for display, including medals and military uniform. The Art department worked with many departments to make this a truly cross curricular event, including Maths (to produce scale model trenches in clay), Health and Social Care (to produce an audio installation about life in the trenches and the effect on soldiers afterwards), Science (to produce a display about the scientific advances and atrocities in the war), History (who had previously met and interviewed survivors of the second world war with the BBC) French (whose students translated French letters from the trenches) and English, (who used the atmospheric space for creative writing sessions). Thank you to everyone who took part. Our KS3 Clay club also exhibited a poppy made from clay dog tags,and a war damaged miniature town. 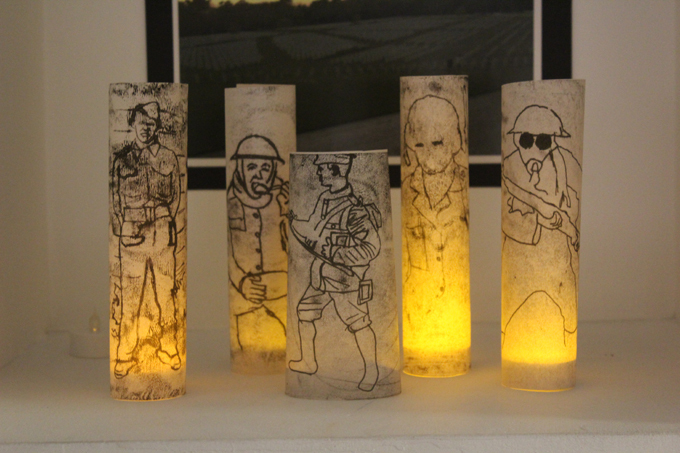 Several drawings, paintings and even an animated stained glass window were also exhibited by our A level Art students, and our year 8 students created candles with mono prints. 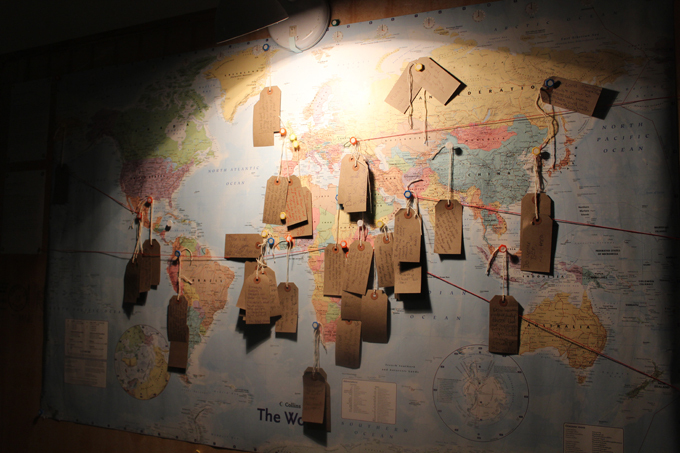 Visitors to the exhibition said that it was a moving experience, and particularly liked the prayer map- a space set up by Reverend Imogen to allow visitors to pray for peace in war torn countries today. 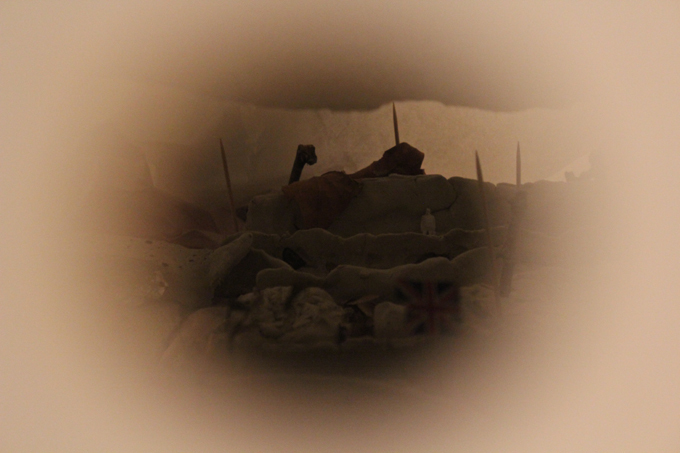 KS3 Clay Club was a huge success with several pieces of work included in our remembrance exhibition. 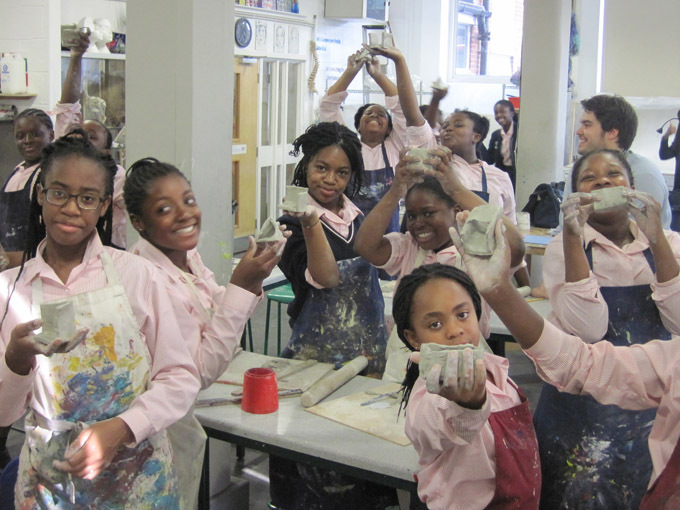 Students learnt how to manipulate clay to create scale model buildings and much more. Mr Moore said that there was a great atmosphere every week, with the club full to capacity. 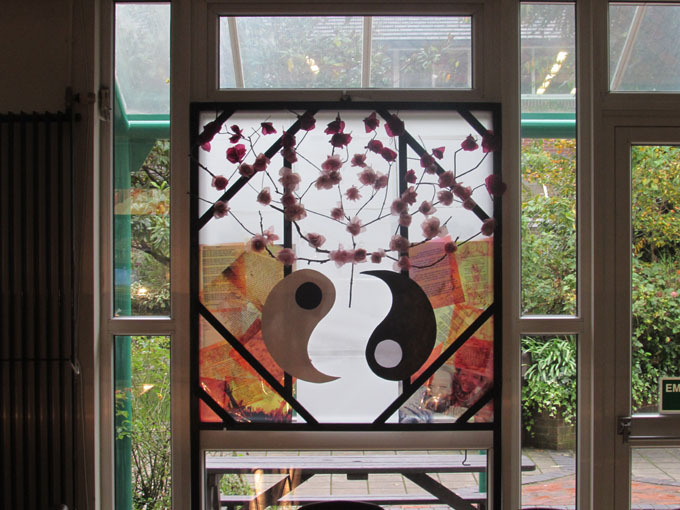 Our new AS Art students set about transforming the school dining hall with their fantastic "stained glass window" installations. Working with found materials, tracing paper and acetate, they were tasked with transforming the mood of the canteen- which they did with great sucess. 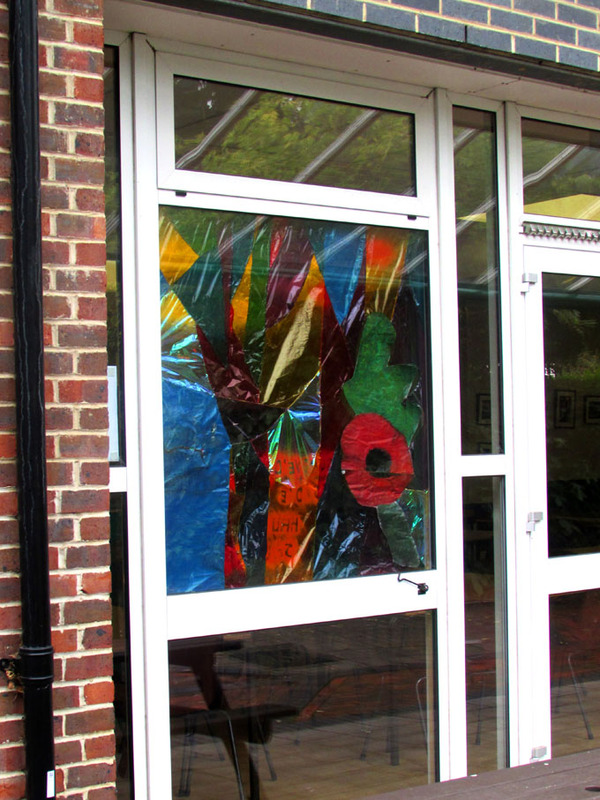 Some students have also created animations to back-project onto their windows, seemingly bringing them to life.